I am writing today to share a little about my experience with Ladder. “What is Ladder?” you might wonder. Ladder is your new bff. Basically, Ladder allows you to enjoy the rewards and benefits of personal training on your own time (through an app on your phone!). SAY WHAAAA?! Yep. You do your workouts on YOUR schedule to accomplish YOUR wellness goals. (See what I did there…. *wellness goals* for me, it’s not about losing weight. It’s about being healthy and feeling good). The program is low cost and low maintenance. Meaning, you can do your workouts anywhere at any time. 2. Use the code SWFIT for a 1 week, no risk (free) trial and then a 10% discount on your subscription after the initial week. I’ve had such a good experience with Ladder and I think you will too! Especially if you’re at a place in your life where you care about your well-being but are struggling with finding time to fit everything into the hours you have available in a day (me, me, me!!!). What's your "thing"? Mine has kinda always been my hair - although I did go through a horribly awkward phase in 6th grade or so. I decided to cut it and it was before straighteners were really a thing. My frizzy, thick hair made for a nice little afro. In fact my guy friends used to call me "Afro Thunder" and I HATED it. Lol ohhh the good ol' days. 2chic - Brazilian Keratin and Argan Oil Ultra-Sleek Leave-In Conditioning and Styling Elixir - This product allows you to: smooth and style every strand; seduce with softness and shine; reduce frizz; defend against split ends; and is safe for color treated hair. So, there ya have it! A round-up of all my favorite hair care products from Whole Foods. All hair care, body care, face care, sunscreen and lip balm are 25% off through tomorrow. This is the perfect time to stock up if you're looking for quality products to keep your hair healthy and vibrant. Check out my last "beauty" post if you're looking for great skin care products - they've truly changed my life. My face has never been clearer! You guys, there are certain things in life that are really worth investing in. A good haircut, good haircare products, a steamer for your clothes, massages, (just to name a few) aaaaand great products for your skin! I mean, you do have to wear your face every day - right? It's cold outside and all I wanna do is drink coffee in the mornings - and lots of it! Mixed with the bad habit of Diet Dr. Pepper drinking + love of a good cab (I'm not a white wine, rose gal try as I might) my teeth suffer, y'all. Sometimes I really think I should only drink water and that lasts for about hmmmmm half a day. Needless to say, I was SO excited when I had the opportunity to partner with Smile Brilliant! Because, let's be honest - I might give up the sodas but coffee and wine aren't going anywhere. The process itself is really neat. 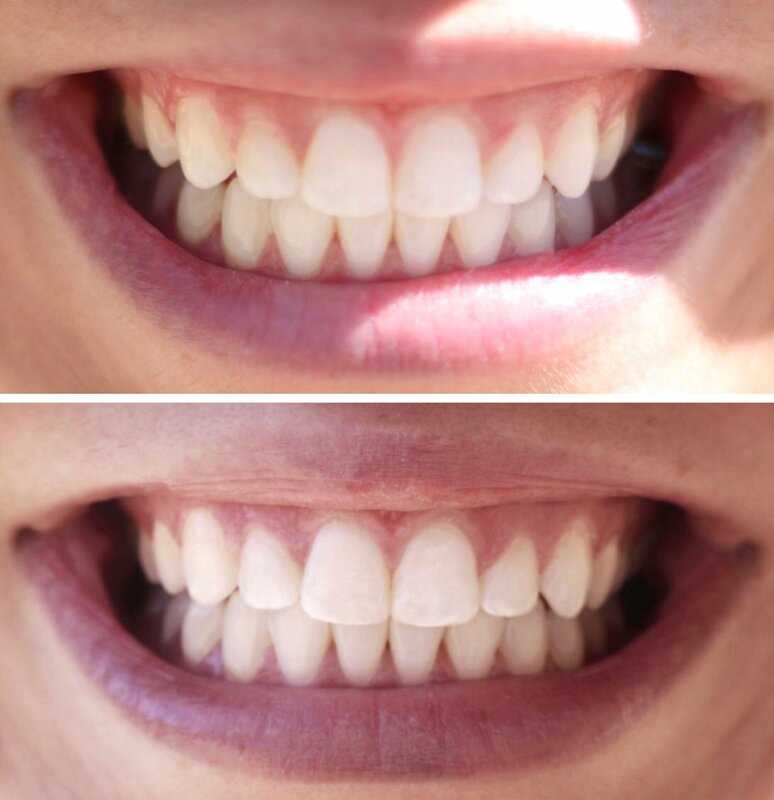 You start off with creating some impressions that you send off to Smile Brilliant to ensure your trays are a perfect fit for your teeth and ultimately have the capacity to do a great job whitening. Once your trays come in, you can start using them immediately! You're provided with both teeth whitening gel and desensitizing gel. I've been whitening for about 45 minutes and then applying the desensitizing gel for about 15. It's best to do it before going to bed because you're not supposed to drink anything after you've completed the steps. Honestly, you can see results after two applications (I think I saw a difference after one but I can be a tad bit dramatic and somewhat of an over-exaggerator, just sayin). All this is to say that I feel better about my smile than I have in a really long time and it's all because of the incredible teeth whitening kit that Smile Brilliant offers! And, as long as I continue to use my retainers and my teeth don't move, I can continue using my trays and simply order refill packages of the gel to continue whitening over time. I'm excited you guys! A white smile makes a world of difference and serves as a huge self esteem boost. This is why I'm incredibly excited to offer you - my amazing followers! - a chance to win $149 credit to Smile Brilliant to get your very own kit! And, even if you're not the lucky winner, I'm encouraging you to give Smile Brilliant a shot. It's so much more affordable than the whitening systems offered by dental offices and I'm confident that you'll be pleased with your results (not sure my teeth could get any whiter and I'm not complaining). I'd love to hear what you think! To me, investing in something you wear every day is a no-brainer. I'm not by any means a makeup guru but I know a good product when I find one! These are three products that I absolutely love (and will probably use as long as they're on the shelf). I hardly wore lipstick before I found YSL Rose Stiletto - it's amazing! Long lasting and, if you have a medium complexion, the perfect color for most occasions. As for "Gimme Brow" this tinted eyebrow gel is a must-have! I have pretty thick eyebrows but they needed a little bit of help. This product made up for some bald spots and lack of shape - I never knew they could look so good! (Okay, sometimes I overdo it and look like Frida.. but just like once a month lol). 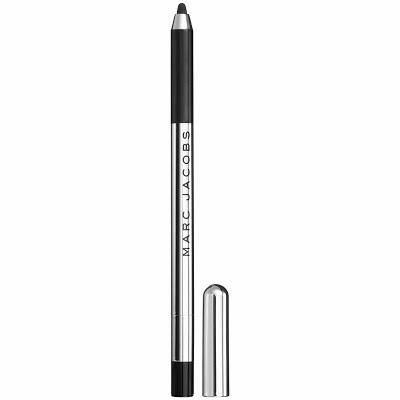 Lastly, this Marc Jacobs highliner is the best eyeliner I've ever found - no joke! I've worn eyeliner since I was probably 13 years old and always dealt with smudges on my eyelids, running black under my eyes and making my lines wayyy too thick. That all changed when I found this product! Not only does it wear well all day long but it has a precision that is unlike any other eyeliner I've ever tried (and I think I've tried a lot in my day). So, there you have it! My three favorite beauty products to kick-start this portion of my blog. If you choose to try them, let me know what you think!